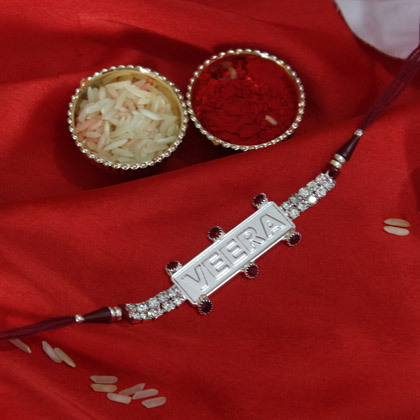 Your loving brother… your dearest Veera will be delighted a lot on getting his wrist tied with this attractive Silver Stone Studded Veera Rakhi. 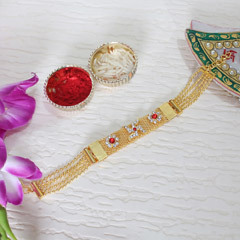 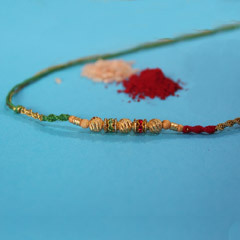 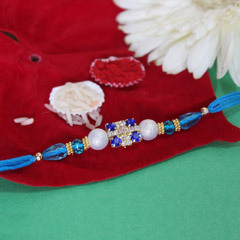 It’s an attractive Rakhi that brother of yours will definitely love to get his wrist adorned beautifully. 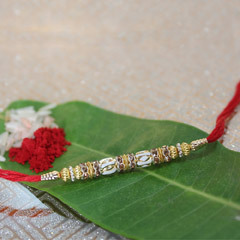 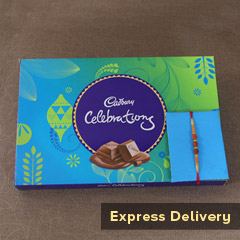 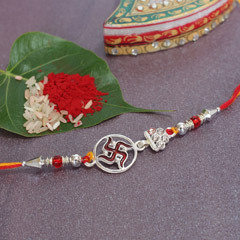 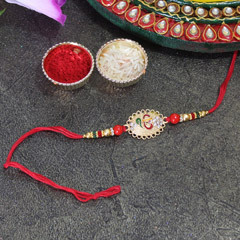 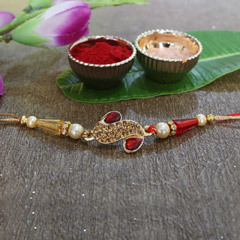 The elegance and shine of this wonderful Rakhi will definitely help you win brother’s heart and make him feel loved too.